We all know that fertilizer helps plants grow, but should we be using chemicals or looking for natural alternatives? If plants could talk, they’d tell us exactly what nutrients they needed. They'd tell us if their nitrogen levels were too low or if the soil pH wasn't optimal for their growth. Unfortunately, all we gardeners can do is attempt to correct any imbalances by supplementing the soil with organic or synthetic fertilizers and seeing how the plants respond. They aren't picky about amendments—plants will utilize the nutrients from any fertilizer fed to them. Ask your gardening friends and neighbors about their choice of plant food, however, and the debate between natural and chemical varieties becomes evident. People mainly choose one type of fertilizer over the other out of personal preference. Just as they do when it comes to selecting tools, seeds, and nurseries, gardeners will often go with the fertilizer that has been proven to work for them. Nonetheless, there are some important differences between "natural" or minimally processed plant foods and their chemical counterparts that every agriculturalist should be aware of. Chemical fertilizers, also known as inorganic or synthetic fertilizers, are typically manufactured from petroleum products or rocks. The nutrients in chemical plant foods have been refined into their purest forms and void of any substances that might impair their immediate availability and breakdown. Different synthetic products will also contain different ratios of three key nutrients: nitrogen, phosphorus, and potassium. For instance, a fertilizer labeled 10-10-10 will have an even ratio (10 percent) of all three elements. The remaining 70 percent of such a product would typically be made up of sand or granular limestone filler. Trace amounts of other nutrients, like sulfur and zinc, are also sometimes present in chemical blends. 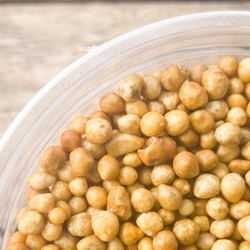 Synthetic plant foods are available in liquid, pellet, granule, and spike forms. They are water-soluble and immediately leech into the soil after being wet, allowing plants to absorb their nutrients right away. 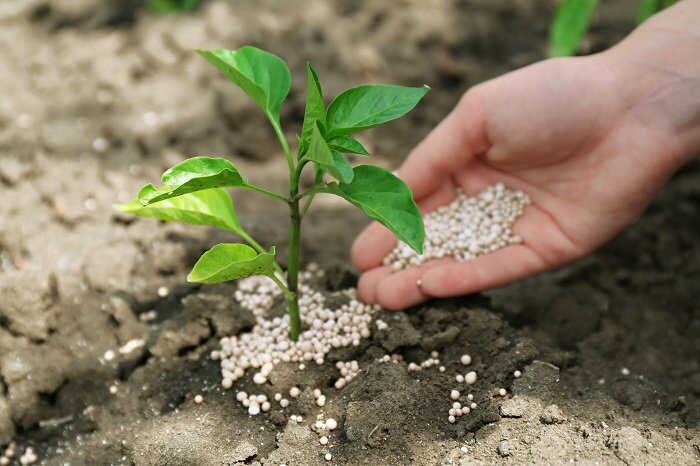 Artificial fertilizers also have the advantage of their specific nutrient ratios, which can be altered in the manufacturing process to create the perfect mixtures for almost any gardening need. Standardized labeling on the back of chemical product packages provides straightforward instructions on where and how to apply the fertilizer. Plus, you won't have to worry about mixing or tilling them into the soil. 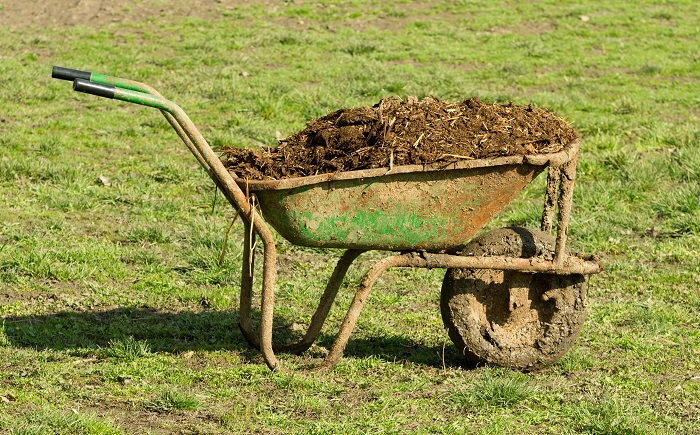 Compared to the strong aroma of fresh manure, synthetic fertilizers are virtually odorless. If you're considering chemical fertilizers, be sure to run some soil tests first to determine the best NPK ratio for your garden. Even ratios are work well for general-purpose applications. If your lawn is stressed or needs a feeding in the fall, look for something with a proportion of 3-1-2 or 2-1-2. New lawns will require a fertilizer with a 1-2-2 ratio. Always read the label and apply the correct amount when using artificial plant foods. 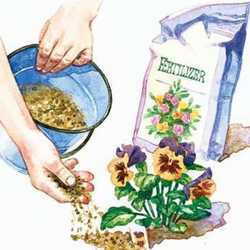 For vegetable gardens a 10-10-10 fertilizer is balanced and won't usually burn your plants if applied heavier. It's also important to consider the disadvantages of synthetic products before running to the store. 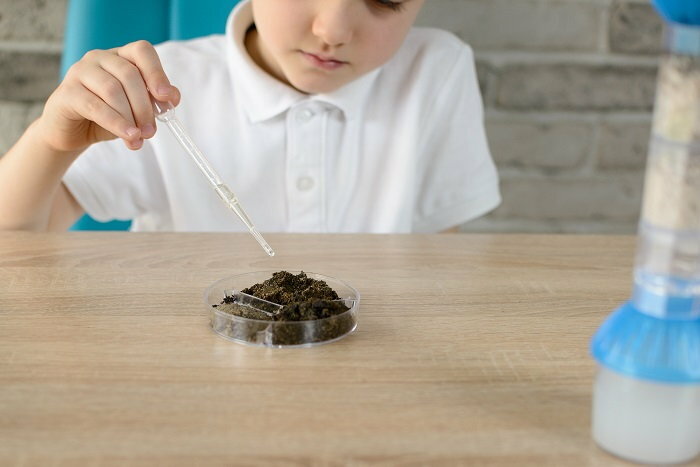 Chemical mixtures can't increase soil fertility, do a poor job of replenishing trace elements, and can disrupt the beneficial fungi and bacteria living in your garden. Furthermore, chemical fertilizers can negatively alter your soil's pH and cause you bodily harm if handled improperly.Always wear gloves and even a face mask when applying chemical fertilizers. It is also a good idea to shower thoroughly after fertilizing with chemicals. 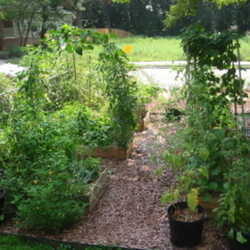 Organic plant foods, on the other hand, work by gradually releasing their nutrients into the soil. Manure, compost, blood meal, and bone meal are all natural products made from plant or animal sources. These fertilizers generally have lower NPK ratios than synthetic ones and must be broken down by microbes in the soil to nourish surrounding plants properly. This process may seem tedious compared to the instant release offered by chemical variants, but remember that natural fertilizers will make your soil thrive by increasing its overall fertility and drainage. Besides, a slower release of nutrients just means your plants will be fed for a longer period of time! When you have a choice, organic is almost always a safer and more earth-friendly option. Of course, NPK ratios are much harder to determine in plant and animal products than they are in manufactured ones. Organic fertilizers also tend to have a rotten stench and will require a bit of effort to apply. Shoveling out a truck full of compost and spreading it on garden beds is a little harder than sprinkling a handful of pellets around.If you have physical limitations, the chemical route may be easier on your back. Ultimately, the decision of which fertilizer to use is up to the gardener. Both chemical and organic kinds have their own sets of perks and drawbacks. Hey, at least you have plenty of options to choose from, so a bit of education may help with the decision.